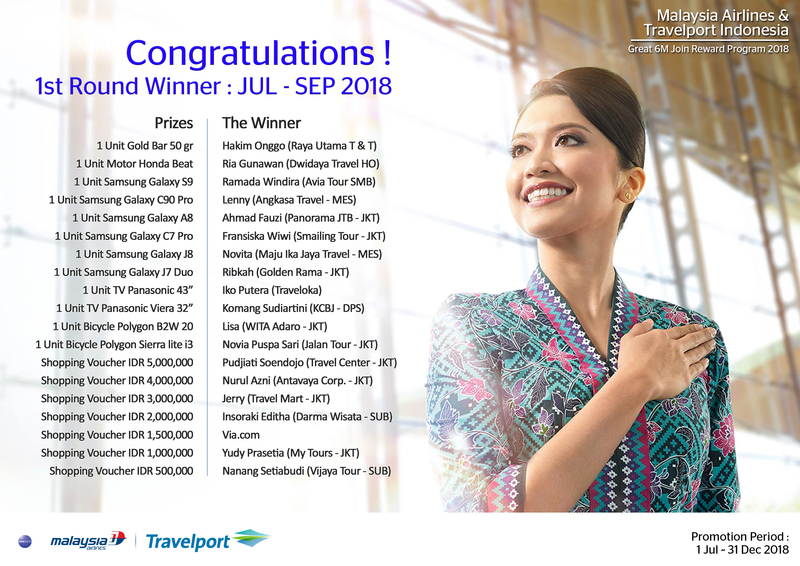 The Winner of Malaysia Airlines & Travelport Indonesia Join Reward Program 2018 for period of JUL-SEP has been announced. Congratulations to all the winners ! Continue to book and issue through Travelport Smartpoint, and win the next round (OCT-DEC) !